1. 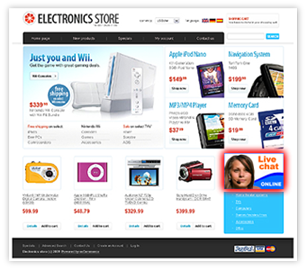 Website visitor clicks the Live Chat button on your website. 2. 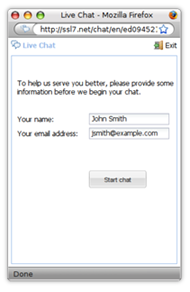 Your chat window prompts visitor for name and email address. 3. Chat request is routed to available operators based on their status. 5. Chat begins between visitor and operator. 6. 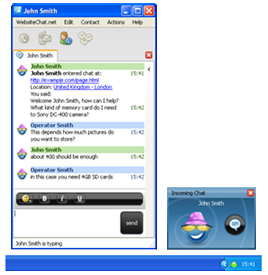 Operator can access chats history in online control panel. Thank you WebsiteChat.net. Since we have started to use your live chat service in our travel agency we have increased the number of bookings by 35%. What is more, customer satisfaction grew as well and we believe it is thanks to your fantastic software. 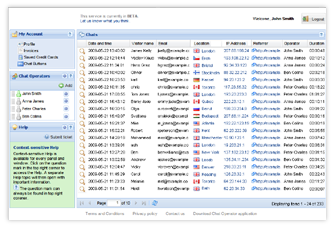 WebsiteChat.net. 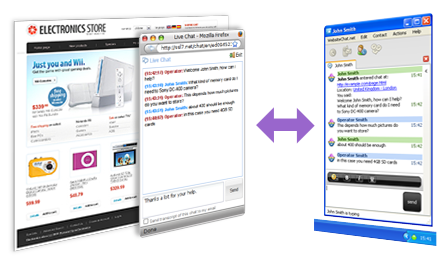 is simply the best live support chat available on the market. I have tried different ones but only this one did not disappoint me. Great features, easy to use, competitive price and reliable. The true winner!